Together with In Your Pocket, the city’s hotel concierges are important sources of information for travellers. Good concierges will be able to give you restaurant and sightseeing tips, and can book event tickets for you. Mr. Fürst studied at the Tourism School and first worked as a concierge at the Palais Coburg hotel; “The experience was very good and I decided to continue as a concierge”. After gaining more experience at the Palais Coburg and two Austrian hotels, he recently joined the Park Hyatt Vienna. This makes our hotel special... The unique location in the city centre's pedestrian zone amidst the main sights and many boutiques is very important. Then, the hotel building itself, a grand former bank, is special. Finally, I could mention the service-orientated mentality at the Hyatt Hotel. Special guests’ requests... One guest wanted to buy a pedigree dog to send home to Moscow; after much research we eventually found the desired dog and managed to purchase it for the guest, but not after a lot of bureaucratic work and a visit to the vet. Another unusual request was when a guest asked me to fly to Milan to drive his car from Italy to Vienna; he has been pulled over for driving under influence and wasn't allowed to drive the car himself. Special restaurants I recommend... My personal favourite for fish is the Kornat restaurant; our guests can expect very attentive service, great atmosphere and excellent cuisine there. For modern Italian dishes we often book a table at the Fabios restaurant; our guests appreciate the authentic service and the wide variety of dishes. Special sights I recommend... Depending on the guests' interests of course, I like to recommend the Hundertwasserhaus with its unique architecture. I tell guests who are looking for a unique viewpoint to go to the canteen on the rooftop of Vienna;s Palace of Justice, right behind the Museum of Natural History; the canteen is open on weekdays from 07:00 to 16:30 and is worth a visit for its decent food selection as well as the views! 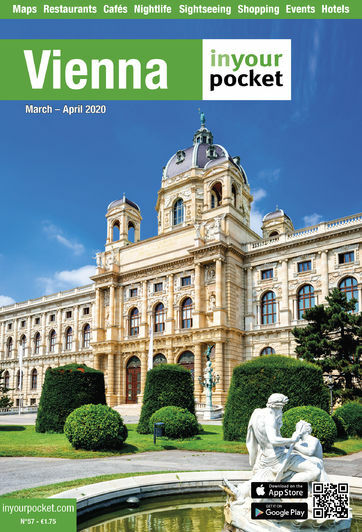 Vienna In Your Pocket... is a great help for me in order to get to know the most important tourism details. I read the guide regularly to keep up to date.